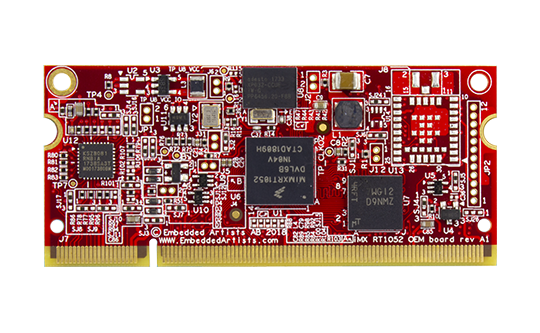 The i.MX RT1052 has the most comprehensive multimedia functionality among our microcontroller modules including great audio, 2D video accelerator, pixel processing and camera sensor. The iMX RT1052 OEM board is available in industrial and commercial temperature range, -40 to +85 / 0 to 70 degrees Celsius respecively. The industrial (temperature range) version is suitable for always-on applications.